While other diseases are diagnosed based on the manifesting symptoms, this is not the case with gestational diabetes. In fact, gestational diabetes rarely ever has symptoms. That is why in order to be diagnosed with gestational diabetes, you have to undergo gestational diabetes testing. There are two screening tests used for gestational diabetes testing. The first test is a preliminary one, while the second test confirms the positive results of the first test. Learn more about gestational diabetes testing as you continue reading this article. The glucose challenge test is the initial gestational diabetes testing that every pregnant woman should undergo. This is usually done between 28 and 28 weeks of pregnancy to determine if you are high risk for developing gestational diabetes. Since it is a preliminary gestational diabetes test, once you receive a positive result from this test, it does not automatically mean that you have gestational diabetes. Rather, you still need to undergo a confirmatory gestational diabetes test to diagnose your condition. The glucose tolerance test is the second gestational diabetes testing that a pregnant woman undergoes. This is done only after having a positive result in the glucose challenge test. In this gestational diabetes testing procedure, you will be asked to fast for 8 to 14 hours prior to the procedure. Upon arriving at the institution, an initial blood sample will be taken that will be the basis for your fasting blood sugar level. 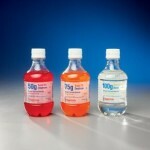 Afterwards, you will be asked to drink a larger or more concentrated dose of the glucose solution that you had before. Blood sample will be taken one, two, and three hours after taking the solution. After undergoing gestational diabetes testing and being diagnosed with the condition, you have to work with your health care provider and nutritionist for ways on managing your condition. Even though your condition will only last during the duration of your pregnancy, there are still possible complications not just on you but on your baby as well, so your blood sugar levels need to be controlled. Some women also develop type 2 diabetes after pregnancy, so you need to undergo gestational diabetes testing again six to eight weeks after delivering your baby. IF YOU ARE ABOUT TO GO THROUGH THE TEST AND WANT TO READ A QUICK BOOK, I HAVE PUBLISHED ONE HERE ON AMAZON, CLICK MY AUTHOR NAME HERE!